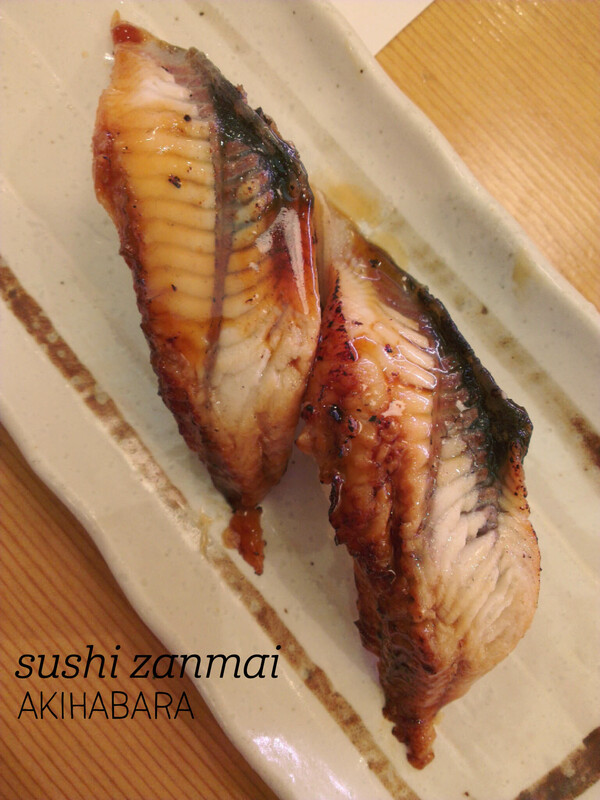 I know I’ve blogged about Sushi Zanmai before, but my experience on this visit was incomparable. We went for dinner, and surprisingly didn’t have to line up (win!). Sitting at the counter, our sushi-san started chatting to us, as they usually do, but this guy was a comedian, and kept us entertained with jokes and impressions all night. Not only did we get the amazing nigiri sushi I ordered, chuo toro (mid-grade tuna), aburi salmon (my ultimate favourite), unagi (top grade eel), saba (the tastiest mackarel ever), we were also treated to a complimentary cube of the most delicious tuna I’ve ever eaten – it was tiny, but had been seared on all sides and salted and it just melted in my mouth. Amazing. To top it off, the gentleman sitting next to us, who was dining alone and joined in on the conversation and jokes, gifted us bowls of miso soup – it must have been their premium soup, as it was packed with fish meat, and had an incredibly complex and hearty flavour. I can’t really explain how much this place makes my heart swell with joy, but I can say that it epitomises everything that I love about Japan. Thanks for another special experience Sushi Zanmai. This entry was posted in Asia, Food, Japan, Tokyo and tagged dinner, fish, Japanese, sushi, tokyo. Bookmark the permalink.